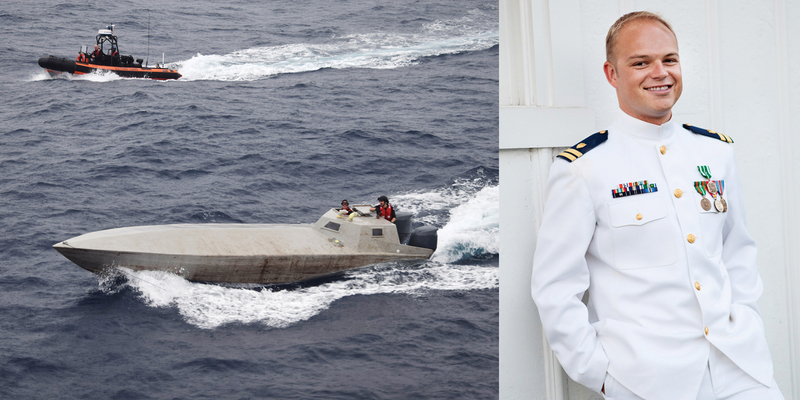 Six years chasing drug smugglers on the high seas was all it took for this Coast Guard lieutenant to see what the government, for four decades, has not. Despite the billions in money and man hours spent on the War on Drugs, the fight cannot be won. Worse, it has created in America a social catastrophe whose toll continues to mount. 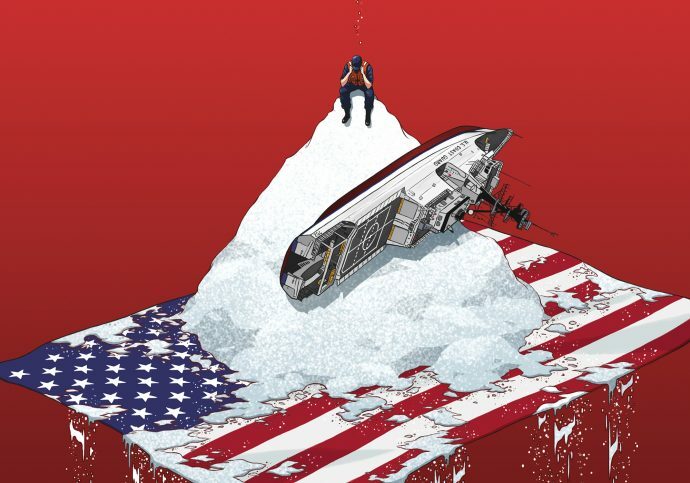 The first time my coast guard cutter interdicted a cocaine–laden vessel bound for the United States, the excitement onboard was palpable. The entire 100-person crew was energized after our three-month patrol had finally netted results, and they pulled thousands of kilograms of drugs onto the ship’s flight deck with ease as adrenaline coursed through them. We posed for pictures, congratulated each other, sank the drug boat with fanfare, and slapped a sticker onto the ship’s hull to denote another successful War on Drugs interdiction. After twenty hours running back and forth between the ship’s bridge, combat information center, and boat deck coordinating the operation, I went to my stateroom, opened my email, and learned that my childhood next-door neighbor had died of a drug overdose back home in New England. The ship may have won a small battle that day, but our country has lost the War on Drugs. Since President Richard Nixon launched this war in the 1970s, the United States has spent billions of dollars on military, law enforcement, and foreign aid initiatives in an effort to keep drugs off American streets. These labors have led to a mass incarceration crisis at home and devastating civil conflicts abroad, while drugs have only become more plentiful, more dangerous, and less expensive. Rather than acknowledging this failure, our policymakers have repeatedly doubled down on unsuccessful enforcement efforts and costly interdiction campaigns. As a Coast Guard deck watch officer, I spent ten years conducting drug interdiction operations from the North Atlantic to the Eastern Pacific. Our forward deployed crews and their counterparts from the Department of Defense and partner nations are the most capable and driven individuals I will ever work with, but they’re fighting a battle they cannot win. 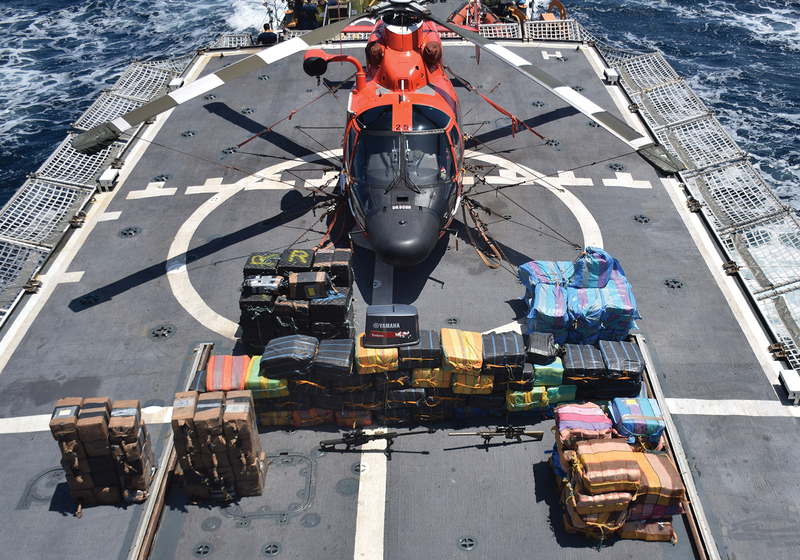 Thanks to massive improvements in our own capabilities, technology, intelligence gathering, and interagency cooperation, the United States can detect and track close to 90 percent of maritime drug shipments from Central and South America. Unfortunately, we don’t have the assets or resources to make a dent in the market. Legislation that focuses law enforcement efforts on possession, rather than distribution, and mandatory minimum sentences that take discretion out of our judges’ hands have yielded nothing but mass incarceration and epidemic level drug use. Estimates vary by the year, but the Coast Guard has routinely placed the actual interdiction rate on these shipments between 10 and 40 percent. These numbers are likely to get worse. In 2015, the US Navy decommissioned the last Perry-class frigate, ships that once served as the nation’s most capable counter-drug asset. Efforts to fill the gap with littoral combat ship or destroyer deployments have thus far proven costly and inconsistent, and operations in the South China Sea and Middle East will continue to take precedence. 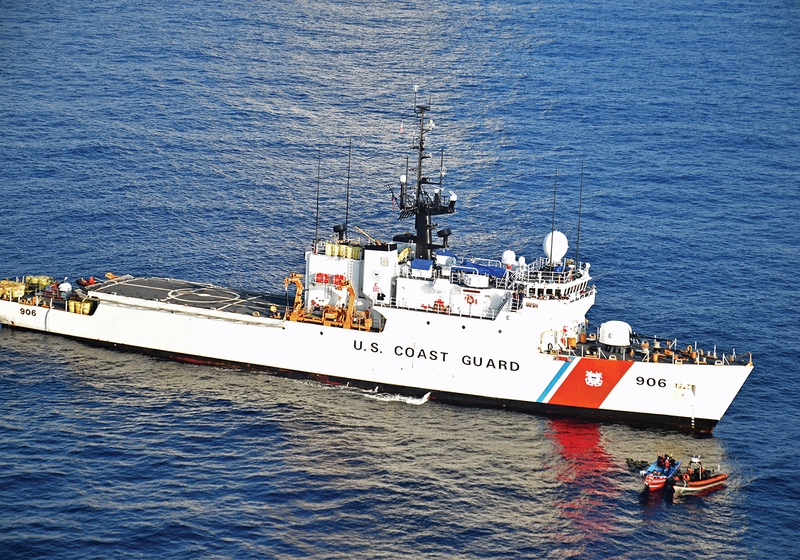 The Coast Guard’s most capable asset is the national security cutter, but that shipbuilding program is in danger of being cancelled early due to President Trump’s proposed $1.3 billion cut to the service’s already meager budget. It’s clear that we will never have the assets or resources to effectively combat the supply side of the drug problem. Our national efforts on the demand side have been equally unsuccessful. Rather than treating drug use as a public health issue, our government has criminalized addiction and militarized enforcement efforts. Legislation that focuses law enforcement efforts on possession, rather than distribution, and mandatory minimum sentences that take discretion out of our judges’ hands have yielded nothing but mass incarceration and epidemic level drug use. Furthermore, having the largest incarcerated population in the world weakens our communities and economy at home, and the staggering racial disparity underlying this crisis undermines our ability to help developing democracies abroad. 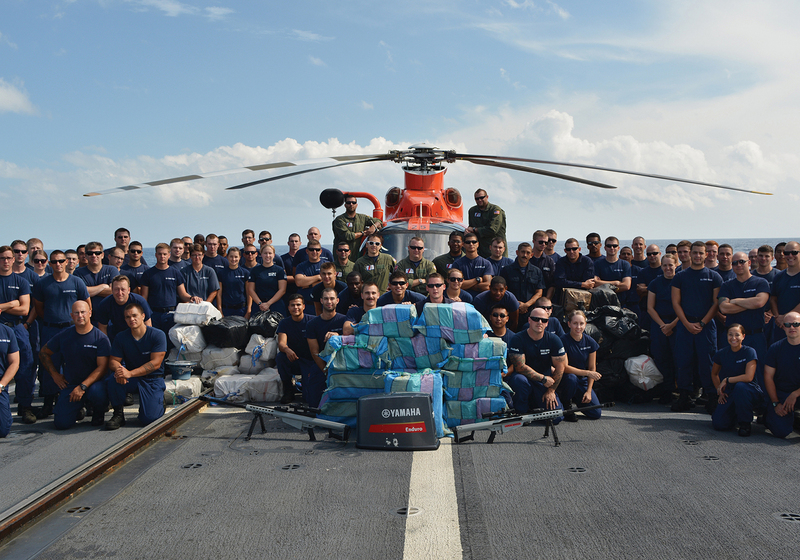 The yield from ten different busts by the Coast Guard cutter on which Brendan McKinnon served was seven metric tones of cocaine, valued at $242 million. 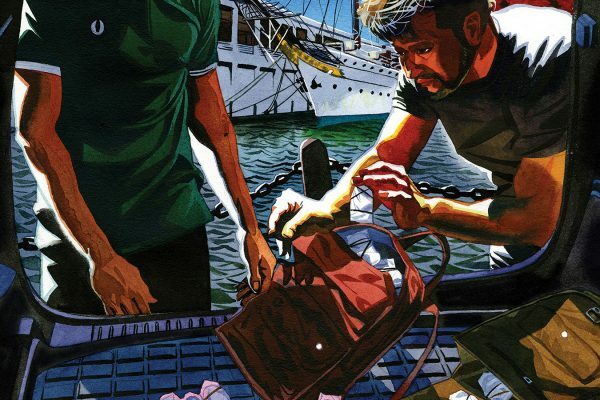 It is estimated that such interdictions net less than 2/5ths of maritime drug shipments. The problems with our national supply and demand strategies are magnified by the fact that this is a zero-sum game. Every dollar the Navy spends on drug interdiction in the Caribbean is a dollar that won’t be spent on combat operations or energy initiatives. Every dollar the Coast Guard spends stopping pangas in the Eastern Pacific is a dollar that won’t be spent on homeland security patrols or new icebreakers. Every tax dollar spent building privately owned prisons to house non-violent drug offenders is a dollar that won’t be spent funding community prevention and treatment programs. We can’t afford to misallocate resources or priorities to fight a losing battle when the alternatives make us healthier and safer as a country. Brendan McKinnon ’19, at right. Forty-five years of militarization have failed to make a lasting impact on our nation’s drug problem. The United States spends $51 billion per year fighting the War on Drugs, but potency has risen, prices have fallen, use has remained constant, and our prisons are bursting at the seams with non-violent offenders. Our military and law enforcement personnel put themselves at great risk every day, while families struggling with addiction and incarceration suffer silently at the hands of these misguided policies. They all deserve better. It’s time for us to end the War on Drugs and pursue new policies that actually keep our nation safe. Former Lieutenant Brendan McKinnon served in the United States Coast Guard. 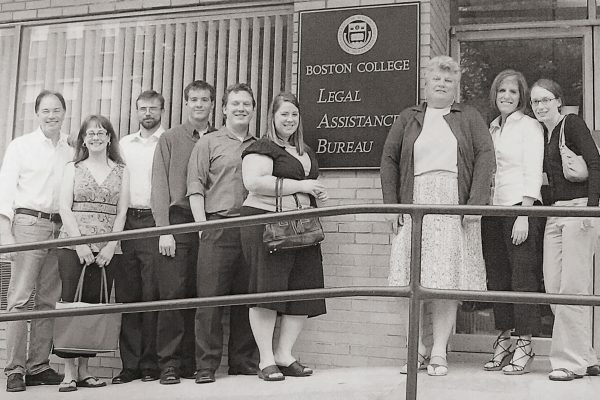 He is currently a Boston College Law School student and a member of the Truman National Security Project Defense Council. 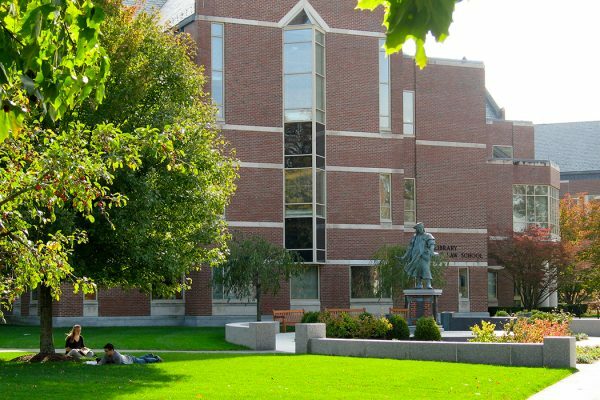 This article was originally published in the Truman Doctrine Blog on March 14, 2017.